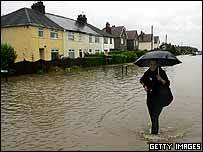 Hull has become the "forgotten city" after suffering some of the worst flooding damage, it has been claimed. An additional 700 council staff have been taken off normal duties to join local area teams helping the thousands displaced by the flooding. Council leader Carl Minns said it could take two years for the city to recover. "We are the forgotten city in this disaster," said Mr Minns who has called for urgent government help for the 17,000 properties affected. The extra council staff drafted in will be used to ensure that all the homes affected will be visited, to assess what help local people need. The authority says that more than 5,000 local homes have already been visited. Some £18m is being earmarked for repairs to thousands of wrecked homes. Mr Minns said: "What we have in Sheffield and Doncaster is terrible and my heart-felt sympathy goes out to those people. "But their problems have been fairly localised, whereas ours is spread right across the city. Hull also needs help. "We are starting to rebuild but the city won't recover for around two years. "The Government needs to help this city with a large injection of capital, otherwise this city will not recover." He added: "Quite frankly if this was Chelsea or Fulham, this would have been plastered over the front pages for weeks." Local businesses are also receiving similar support, so that people can get back to work. Some 500 affected firms have been visited by council staff. The city council's service for removing bulky, flood-damaged items from outside local homes is now at full capacity. Attention is also now being given to the draining of standing water on parks, playing fields and other open spaces, which may otherwise present a potential health hazard. Efforts to avoid disruption to the education of local children have been effective, the authority claims. Only six schools in Hull now remain closed, and alternative provision has been made for the several thousand pupils affected. Similarly, day centres for older people and those with learning disabilities have mostly reopened. The George Ashton Centre and the Holden Centre remain closed, but alternative provision has been made for their users. Meals-on-wheels services are operating normally, now that all parts of Hull are accessible. As a result of the flood, 120 Hull residents in residential or nursing care have had to be relocated or have alternative arrangements made for them - but this is putting severe pressure on the service, the council says. Could floods have been better handled?